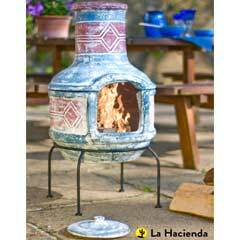 Add a touch of Mexico to your outdoors with this traditional La Hacienda Banded Clay Chiminea Large that comes with a realistic weathered appearance. 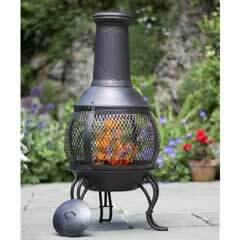 It is just perfect for creating the captivating beauty of living flames in your garden and looks particularly magnificent on dark nights. 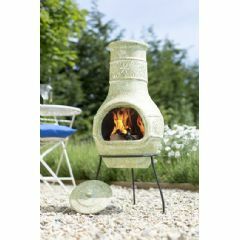 Now you can invite friends around for an outdoor evening party and provide a warm and welcoming focal point. The thick clay walls provide even heat distribution all around the chiminea whilst the large opening allows for an enchanting view of the fire. 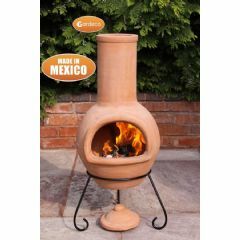 Handmade, using traditional methods by local craftsmen in Mexico, making each chiminea unique, this quality chiminea comes with a sturdy steel stand and matching clay rain lid. 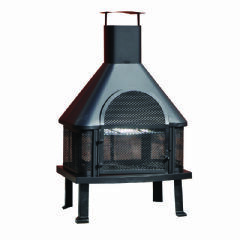 Its open mouth design not only causes a strong draw resulting in a cleaner, hotter flame, but also helps prevent sparks, unlike an open fire. Please note that as this is a handmade clay product, it may be subject to natural weathering and to some colour change. 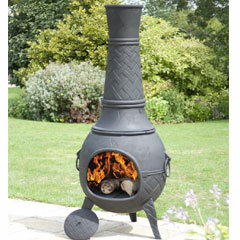 It is a great accessory for any garden or patio and one that is robust and will last for years. Caution! Please use this product responsibly and ensure that you follow the manufacturers safety advice and user instructions carefully. 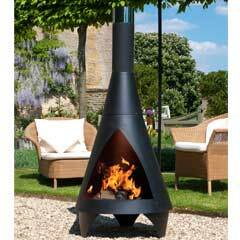 The chiminea will become very hot during use and extreme care should be taken if children or pets are present. For more ideas or inspiration, please click here to view our Garden Decorations Department. 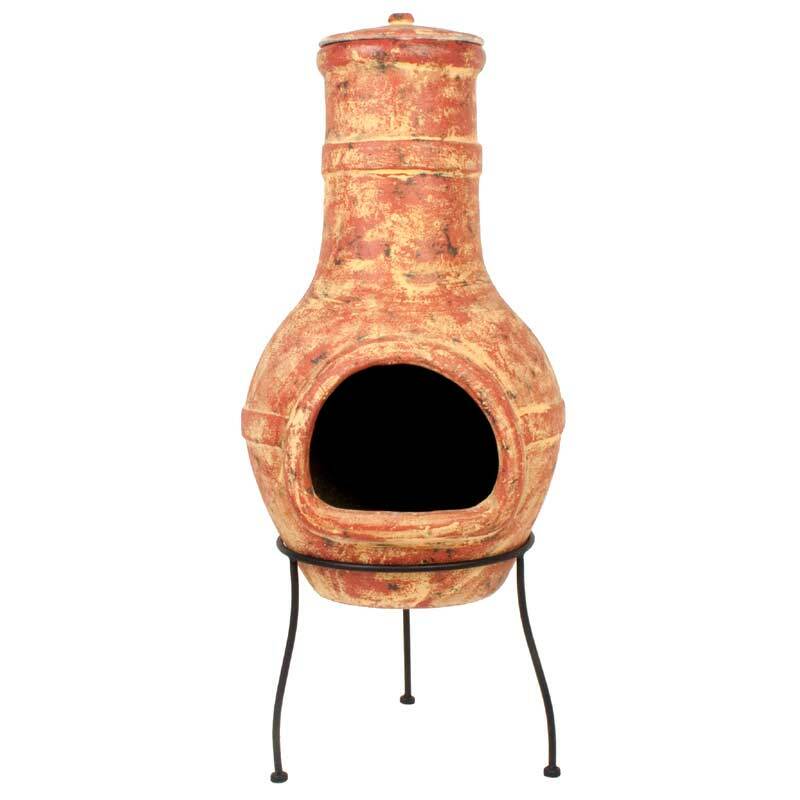 The service was excellent and the chiminea was good value. Delivery time was excellent. ***** 5 stars. Took a while getting to know how long to let kindling wood burn before putting on log. Once learned this everything is perfect. 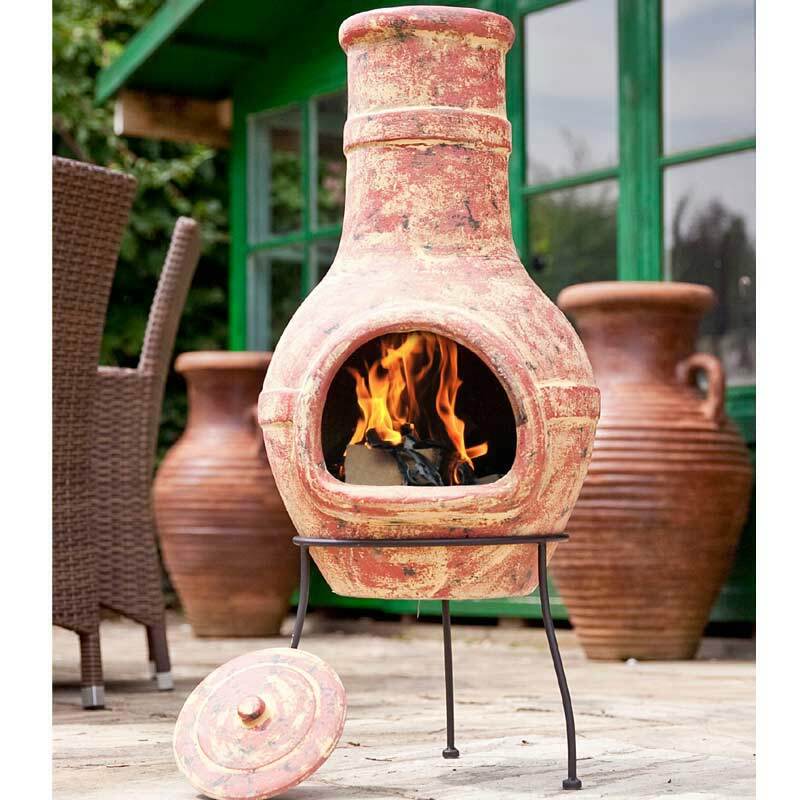 Just love this Chiminea lovely clay colour and looks great in the garden well worth the money and would recommend this product. It also arrived on time was well packed and undamaged pheow.